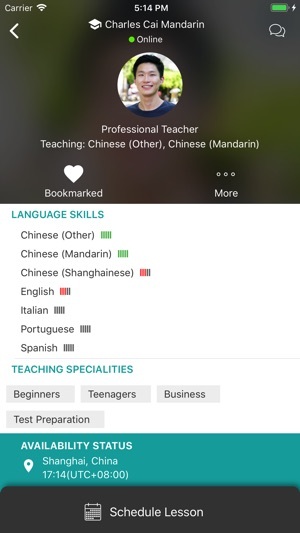 italki is a global language learning community that connects students and teachers for 1-on-1 online language lessons. At italki, we believe that human interaction and cultural sharing are the best way to become fluent in a foreign language. With over 5 million students and 10,000 high-quality teachers teaching more than 130 languages, italki helps everyone with their personal journey to fluency. 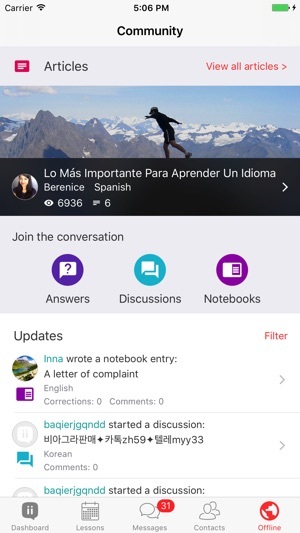 With the italki app, you can now connect on the go with language partners, teachers, and students all around the world. 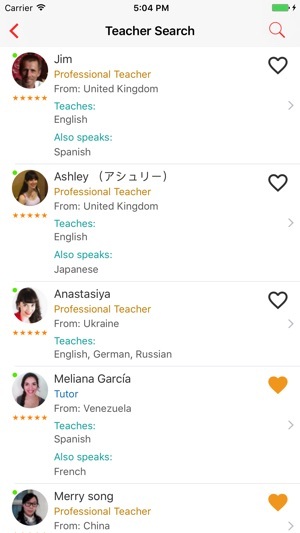 You can also manage your existing lessons and packages, have conversations with language partners, and view your language learning contacts, all straight from the app! Thanks for choosing italki! 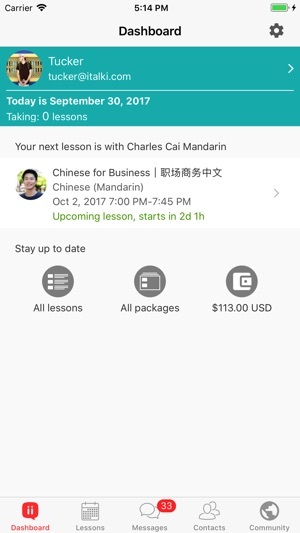 Our latest release includes optimized language settings and bug fixes that make booking lessons and using our Community even easier. 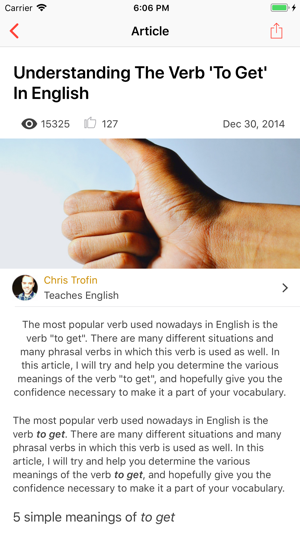 I need to clarify because I use iTalki to teach. It’s a source of income for me so this is strictly a review for teachers. The only useful thing I can use this for is confirming lessons or leaving feedback. Maybe messaging my students too, but I use Skype for that more than this anyway. The problem here is that so many things are missing. I love using instant tutoring as a teacher and it’s impossible with the app, I think the company should completely revamp how that works and incorporate it with the accessibility of tablets and phones. It’s difficult to see my schedule with the app. The layout is vastly different than the browser so I do most of my work there, it’s just easier to organize on the browser. My last complaint is about finances. The finance aspect of italki is nonexistent on the app and I hope they’re working to incorporate that too. I could use the convenience of cashing out my paycheck here, just a suggestion. I love italki so much, the service is spectacular. I think as the company continues to grow they will revamp the app as well. Right now, 2/5 stars for the app, 10/5 for the service. The app froze several times while trying find teachers and the form reset itself requiring me to re-enter the search criteria. Also setting profile picture did not work on the phone but did work on the web site from a laptop. Bookmarked teachers did not show until opening and closing app four times. The biggest disappointment is the processing fee applied to each purchase of credits. That should be a cost of doing business absorbed by italki. 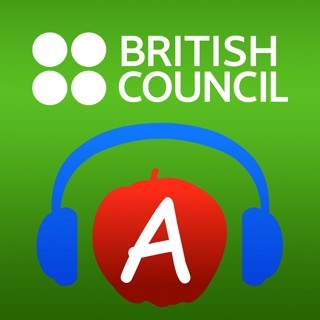 I opted to skip the trial lessons and delete the app because of the processing fee. The messenger service is okay but the process of scheduling a lesson through an open lesson package is very cumbersome. There should just be an option to “schedule a lesson or something” instead you have to keep jumping through multiple hoops and it’s not necessary intuitive either. Also everytime you confirm a completed lesson you have to re-enter your password which is very cumbersome as well. That said the teachers are really great, the desktop website is good and there is a really cool community online. The app and mobile site are bad though.